With eclectic artwork, wooden flooring, and internet access throughout, this apartment is centrally located less than 10 minutes by foot from Rome Termini railway station. 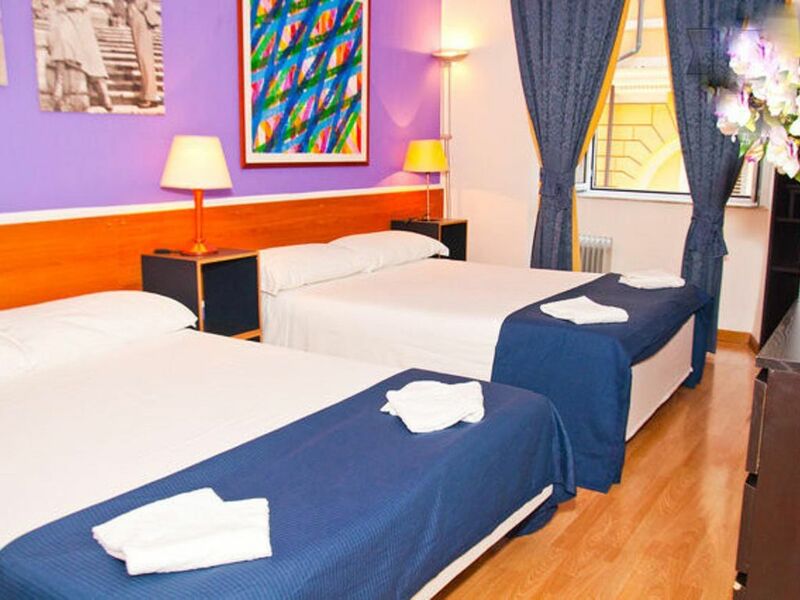 One large bedroom with 2 double bed can sleep up to 4 guests. The room is also furnished with a large dresser, as well as a TV. The bathroom includes a walk-in shower. Meals can be cooked in the small kitchenette, which also has a dining table.